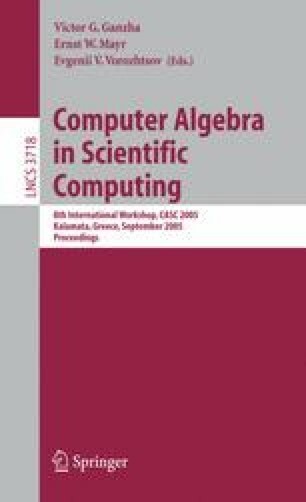 In this paper we generalize a method to analyze inhomogeneous polynomial systems containing parameters. In particular, the Hilbert function is used as a tool to check that the specialization of a “generic” Gröbner basis of the parametric polynomial system (computed in a polynomial ring having both parameters and unknowns as variables) is a Gröbner basis of the specialized system. Extending the analysis, we can also build the so-called Hilbert stratification of the associated variety. We classify the possible specializations according to the value of the Hilbert function of the specialized system. Some computation examples with the PoSSoLib are reported.